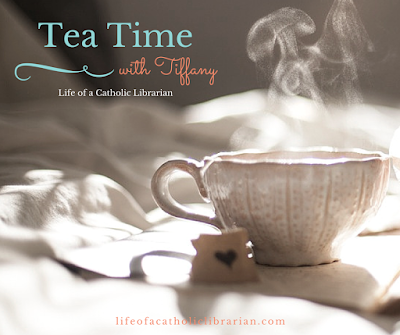 Life of a Catholic Librarian: Tea Time with Tiffany #88 - Snow days & Lenten...progress? Tea Time with Tiffany #88 - Snow days & Lenten...progress? 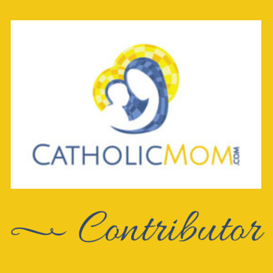 Today I talk about our snow days this week, forging our way through Lent, and plans for the book club after Lent is over. Join me! How is your Lent going? Do you have thoughts on a summer book club? I'd love to hear them! A summer book club sounds like fun. I enjoyed last years Planned Not Scripted summer book club and something similar would be enjoyable. I've had Love & Salt: A Spiritual Friendship Shared in Letters on my to read list for awhile and I think it could make a good book club book. Hi Melanie! What a fabulous idea! Maybe I could convince Cristina to join me. ;-) We've been wanting to revive PNS, it's just SO hard to coordinate our schedules! I'd totally be up for a lenten online bookclub over a group chat or video thing. Sounds like it would be fun! Hi Beth Anne! We would love to have you!